H-Four Logistics Inc. is built on establishing relationships with our customers. We strive to build a team environment with our clients with the goal to obtain a full understanding of their business structure and goals. Through a full understanding of their day to day operations we are able to assist in completing their supply chain requirements. 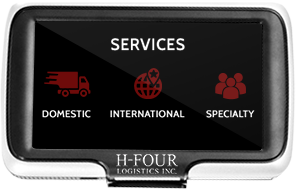 H-Four Logistics is based on service. Exceeding the expectation of our customers and carriers is what the company is built on. We come with over 15 years of transportation experience, which includes a full understanding of the regulations and laws that carriers endure to a comprehensive understanding of the ever changing needs of customer's transportation requirements and expectations. We carefully select the best suited carrier to meet the needs of the customer, taking many factors into consideration. Factors such as: location, time sensitivity, material handling, price points and even personalities. We pride ourselves not only on working for the customer but ensuring that our carriers and drivers are satisfied and compensated fairly, and timely. This ensures that our carriers and customers will be happy every time they choose H-Four Logistics. We pride ourselves not only on working for the customer but ensuring that our carriers and drivers are satisfied and compensated fairly, and timely. 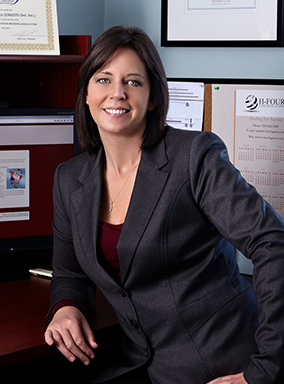 H-Four Logistics Inc. is a 3PL transportation provider servicing Canada and the United States. We have a strong understanding of transportation and the logistical demands that are encountered while achieving a supply chain balance. H-Four Logistics can help to maximize shipping requirements by utilizing our available resources while maintaining the level of service that your business demands. When you chose to partner with H-Four Logistics you will gain reliable, knowledgeable, consistent services with a competitive edge. Our services are available 24/7 and we guarantee that your requests will be fulfilled to meet your deadlines.